Nothing is more blissful than returning home to a beautiful massage after a stressful day. The muscle tension, body stiffness after lifting more than you can manage and stress at the office can take its toll on you if left untreated. Prevention is always better than cure. Popping painkillers may give you temporary relief from your body and back pain. It is a massage which helps ease pain and soothe muscles. While massages were once considered a luxury to be enjoyed only at spas or health clubs, doctors and other medical professionals consider taking a massage a more mainstream therapy. While a full body does make you feel relaxed rejuvenated, just massaging your back relaxes you and gives you lots of benefits as all the body s nerves run through the spine. While it s not practical or possible for everyone to have a personal masseuse or even head to the massage parlor everyday for a massage, there s now something even better to the rescue in the market, back massagers. The Best Back Massager In The Market That Money Can Buy! How Do Personal Back Massagers Work? This as you would expect from us is an EPIC post so grab a coffee before you start and see how we cut through every product and review it with precision. IF YOU ARE SHORT ON TIME and just need to know the results of our reviews , CHECK THE RESULTS TABLE BELOW! No time for a back massage? Why not bring the masseur the Zyllion Shiatsu pillow massager with heat to your home instead! With the ZMA-13-BK at home you can enjoy a Shiatsu-style massage anytime you want. 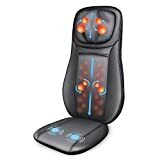 The cordless shiatsu neck & back massager with heat has 4 deep-kneading rotating nodes which effectively relieve you of muscle tension, aches and knots. Ergonomically designed to fit into the small of your back or neck, you just have to sit back and press the On button while the massager melts stress away. Its 20-min auto shut-off and overheat protection device ensures the massager s safe usage. 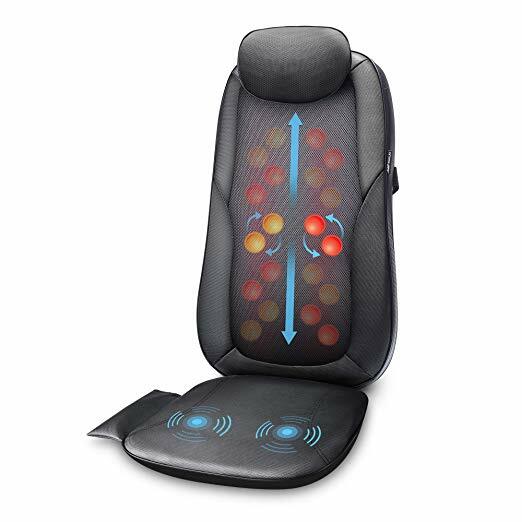 The Five Star 10-motor vibration massage seat cushion with heat-neck-shoulder-back and thigh massager is just what your tired muscles may be yearning for. 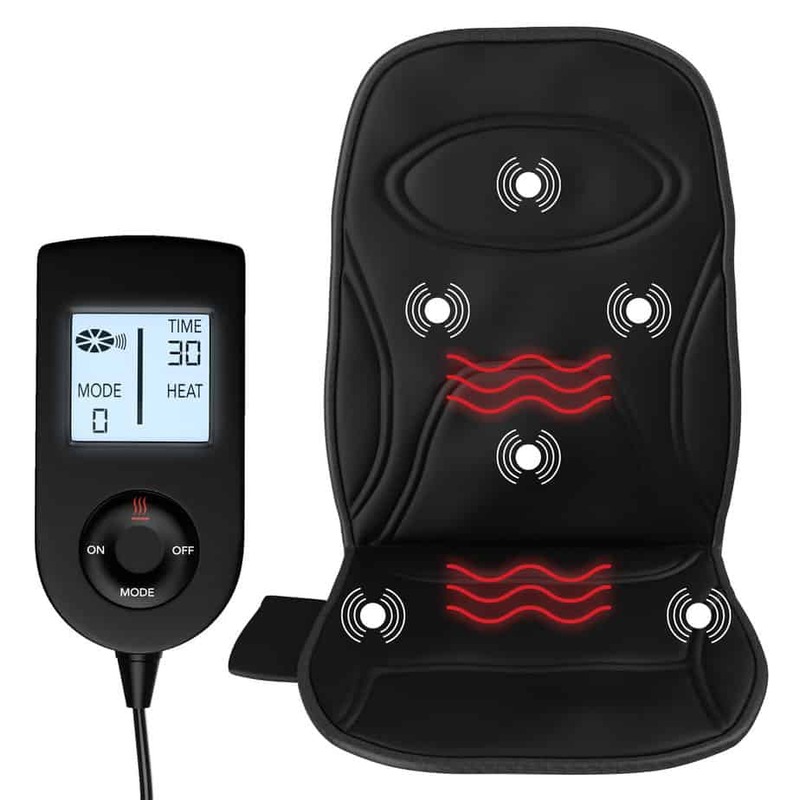 This is a massage seat cushion which uses 10 vibration motors to massage your aching parts while providing soothing heat for the lower back regions.There are altogether 8 push buttons for 4 massage programs and 4 massage zones, power on/off and heat on/off buttons on this hand control unit. As it s heating element can be independently switched on or off, you can decide if you want a heated or ordinary massage. The Pure-Wave CM7 cordless facial and body massager will give you more reason to return home after a long day at the office. 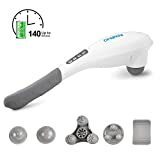 This is a powerful cordless high speed percussion massager with a variable speed dial used to adjust the percussion or vibration as necessary. It s lightweight and ergonomically designed with an easy to hold long handle which proves helpful at reaching hard-to-reach areas. The Pure Wave personal massager comes with 6 different massage heads to choose for the style and firmness of your massage. It comes with an additional facial vibration motor in its handle which operates up to 10,000 RPM using specially designed facial and scalp massage attachments. 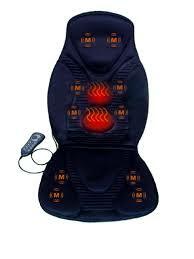 The shiatsu back, neck and foot massager is a black kneading massage pillow with selectable heat feature. It s selectable heated massage helps produce relaxing warmth which loosens muscles to enhance the massage s rejuvenating and therapeutic effects. The shiatsu neck & back massager with heat offers superior deep massage capabilities with it s 4 improved massage nodes which target all the hard to reach muscles. It s bi-directional movement feature makes it feel like you are getting a personal massage while using it. In addition to this, its multi-position feature makes it possible to use the massager to massage not only your back and neck but also your shoulders and waist. Got a stiff neck carrying your baby all day long? The Gideon Powerful Vibrating Massager Seat Cushion should help give relief through it s 8 vibrating points which deeply penetrate into your neck to relieve stress, aches and tension. It also features an optional heat therapy which radiates warmth to soothe and loosen all your tightened muscles. You have 8 programmed massaging patterns to choose from to enjoy a customized massage in the comfort of your home or office. This back massager for car is so convenient to use as you just have to strap it onto the chair you use at home or office and of course, your car seat. It s so convenient that you can fold it to store away after use. It s corded hand control keypad is easy to use. With its illuminated LCD screen, there s no problem using the massage cushion even in darkness. It can be used connected to either an AC outlet or a DC car plug. The Naturalico Shiatsu Massager is the next best thing for sore muscles and a stress releaser to a personal masseuse. You can experience a spa-quality massage at home with its four-rotating nodes which knead shiatsu pressure to give a relaxing massage. The added soothing heat reaches deep down into muscle fibers to help release all the accumulated tension and pain. As the massager is versatile, lightweight and portable in design, it can be used in the office or at home as a deep muscle relaxer. It is it s bi-direction massage movements which gives you a massage similar to a personal massage which eventually helps you quickly reach deep REM sleep. It is everyday stress which builds up at certain points like your neck and back which manifests itself as physical pain. A back massager like the Homedics handheld back massager helps a lot at easing any pain you feel by soothing your back and body muscles. These personal back massagers are affordably priced for anyone to use. It s also easy to use; you just have to switch it on and you can start using it within seconds. It thus saves you time as you needn t make an appointment, or spend time travelling to a massage therapist for a massage. Moreover, as back massagers are portable, you can carry them along even on trips or keep them handy in your car, office or home to use as required. Portable back massagers are also rather helpful at giving you some relief from that itch you can t reach and scratch on your back. They help with pain management to give relief from your body aches and pains. You can choose between specific massagers like deep muscle massagers and heated back massagers to use for both full body massages and spot massages. The most obvious benefit of using a back massager handheld is pain relief, help at calming down of stiff muscles and giving you better energy and flexibility to help you feel like a new person with better health. Too much of stress, immobility and repetitive motion can lead to neck and shoulder pain. Instead of taking a painkiller which gives momentary relief, it s better getting an upper back massage which effectively releases the built-up tension and reduce any muscular pains. The best massagers for back give you relief from lower back pain after strenuous workouts or sitting at the deck for prolonged hours. As they are usually lightweight and convenient to use, there s no difficult at using it to reach and massage your strained lower back. Sometimes stiff muscles can make it rather difficult for you to fall asleep or even to stay in deep sleep after falling asleep. If this is the case, a back massager helps relax your back muscles so that you feel relaxed and fall asleep to enjoy better sleep. A massage is just what the doctor ordered to make you feel good, happy and relaxed as it stimulates the production of feel good hormones like endorphins, serotonin and dopamine. You in fact stop taking pain killers because you feel good, and this in turn helps prevent back pain related anxiety and depression. A back massage helps improve your range of motion while exercising and carrying out your everyday activities by healing tight and weak back muscles and tissues even in those with a long history of back pain. Moreover a back massage helps reduce scar tissue and stretch marks and also helps improve joint flexibility. Back massages effectively help improve blood circulation in the body by increasing blood flow. This in turn brings oxygen and nutrient rich blood to the muscles and important organs. Back massagers help pregnant women by reducing the lower back pain felt during labour to make childbirth much easier. 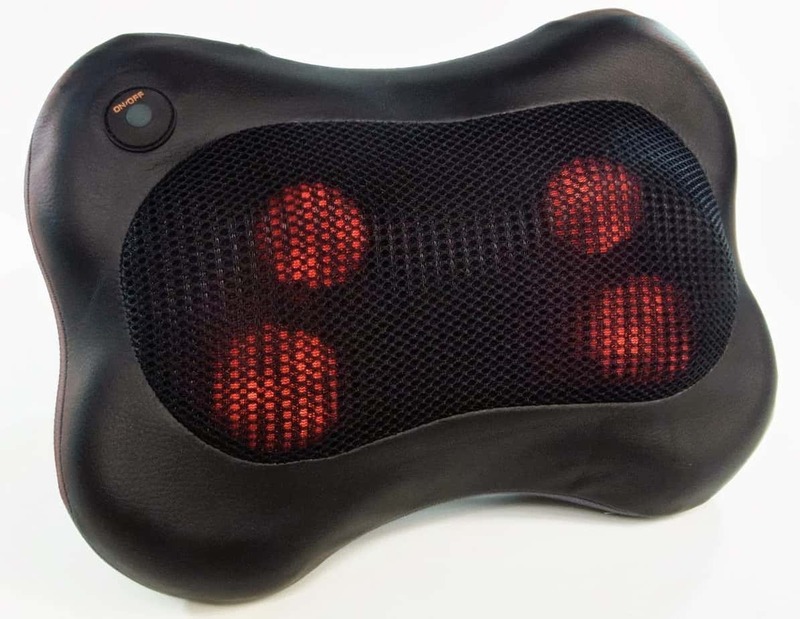 A back massager with heat has heated nodes which warm up while massaging the right places. Some models even let you increase and reduce the heat produced as required. Vibrating back massagers which use both vibration and heat to provide the right pressure at eliminating muscle tension through various vibrating nodes. 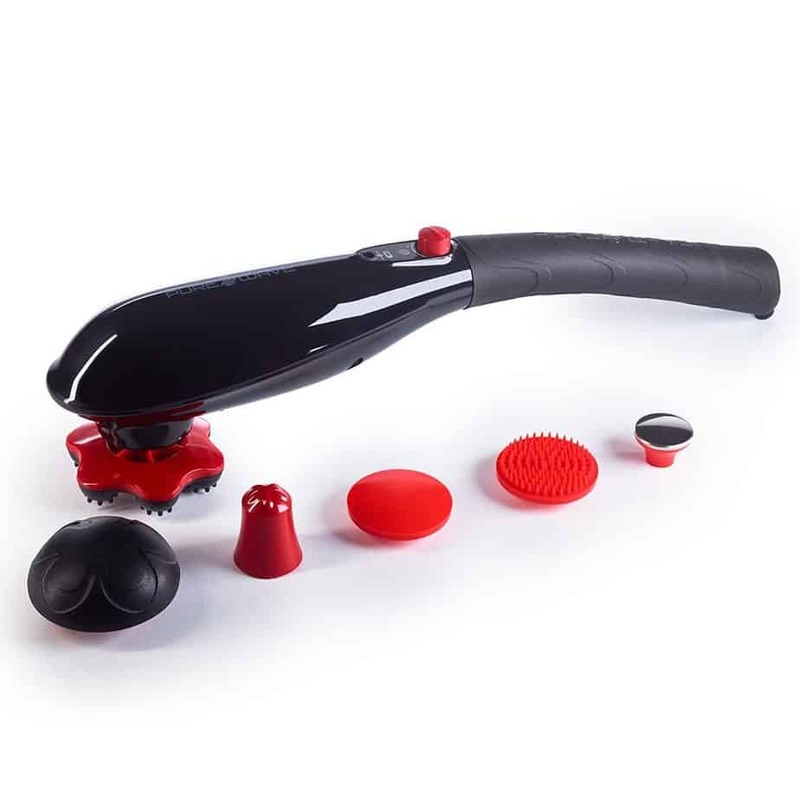 Kneading massagers have balls rolling from one end to the other which helps give a better back massage. Acupressure massagers deliver acupressure at the affected muscles while massaging so that there is no tension in the muscle at all. Acupressures where soft points help stimulate the different areas in pain. 1. Car seat massage cushions are attached over the car seat. They are meant to be used while driving where it heats up on plugging into the car s charging device. These car back massagers are very helpful while driving and some can also be used on your bed, office chair, recliner or wheelchairs for comfort. They provide relief from lumbar soreness which occurs due to prolonged sitting while driving or sitting at the keyboard. 2. A back massager for chair provides a comfortable massage as you sit back and relax on them. They recline and have various settings to use on different body parts to give you a massage even while you are working at the office. 3. Foot massagers are available as electric, mechanical or water-based models where the water-based ones release tension in the feet with the help of water jets or a vibrating base. 4. Neck massager is either wrapped around the neck or used as a cushion point to work on pressure points. 5. Shower massager is a handheld massager which massages using a shower spray. 6. Handheld roller gives a massage by stimulating pressure points when rolled on the skin. They come in various materials like plastic, rubber and wood. 7. Calf and leg massager works on the basis of acupressure or shiatsu where rollers and compression is used on the thighs and calves. Looking at all the benefits offered by back massagers, you definitely will look forward to owning one. However you may find it confusing choosing the best back massager as there is so many models and types in the market to choose from. So this buying guide should prove helpful at making the right choice. You need to choose your personal massager based on how it is operated. While some run on battery power, others require no electrical power and are ideal for use by people constantly on the move. Manual models are also better if you want to apply the right pressure to tight muscles. An electric back massager is easy to operate to do everything for you as long as it is powered. Massagers with various intensity levels can provide different levels of massages. All you need to do is touch a button to increase or reduce its intensity level to choose as per your massage needs. While back massagers are specifically bought to give back massages, it s better if the massager can massage and relieve muscle tension in other parts too. There are some back and neck massagers which are contoured to massage different parts like the back, neck and shoulder. Choose the massager s size and weight depending on whether you want to take it with you while travelling or wok or not. There are some models which are easily folded to carry around and others which fit into your backpack, purse or luggage. Besides portability, size and weight affects the massagers usability. 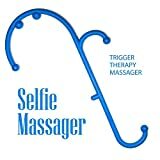 It s easier massaging with lighter models as they are easier to use and carry around. Massagers with various modes prove helpful at coping with new or repetitive stress you experience in your day to day activities. You can make your massage routine more interesting by switching between different modes and programs. Use the help of intensity controls to get a light massage for muscles too sore to endure much more, and a high massage when you need a very intense massage for complete relief. Heated back massagers with a timer are a better buy as it switches off the massager in case you feel so relaxed that you fall asleep while using the massager. This in turn can help prevent unnecessary accidents and bruises caused by the massager producing unnecessary heat as it s switched on even when not in use. Massagers with an automatic shut-off feature can also prevent accidental overworking of muscles which leave them vulnerable. Check the power cord length of the electronic back massager as if it is too short, a battery-powered model may be a better option. Corded back massagers with too short power cords are not flexible enough to use for a full body or back massage. Of course, it goes without saying that a massager with easy to use and understand controls are always a better buy. As you will be using the massager mainly to treat your back neck and shoulders, make sure the chair massage pad can reach those areas. sometimes a chair massage pad seems to be a more logical and feasible option than an entire massage chair as you can move the pad and use it on your favourite couch or chair. They are anyway easily installed and can be strapped in a few seconds time. If your work involves your sitting at the desk for prolonged hours, there is a very high chance of it being the cause for your back pain. As leaving the job is not a practical remedy, you need to find something to help curb the back pain which develops with prolonged sitting. This is best achieved with the help of a back massager chair which gives you a massage at the desk while you continue working. The massage helps you relax and removes most of the strain and tension built up in your back to free your muscles. Massage chairs like homedic back massager has grown in popularity for its convenience, mobility and time efficiency. You can choose your chair based on its features like the homedics shiatsu back massager which uses pressing, swaying and rolling movements to target the entire body. There are some chair back massagers which offer Swedish massages with light intensity kneading movements. The zero-gravity chairs recline to zero-gravity position to give a massage. It s better trying out the chairs to find out which gives you the best massage experience. Choose your chair based on your budget as massage chairs are available from anywhere between a few hundreds to a few thousands of dollars, based on its features, manufacturing company and quality of materials used. If you are looking for a chair back massager, you needn t buy a chair with a foot recliner. Just buy a machine with features you know and can afford to use every day. Choose a massage chair which your office or home can accommodate as these chairs are naturally huge and bulky and cannot be tucked just anywhere. So measure your room and calculate how much of space your massage chair will occupy before buying one. There are some chairs with wheels for easy moving around. Look for a durable chair as you will be using it rather frequently. It s worth the investment even if you have to pay more for it. 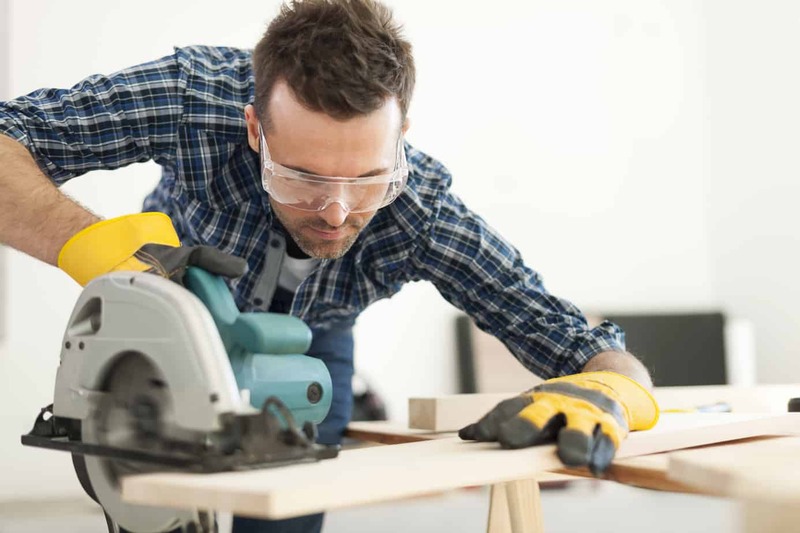 Choose chairs with a modular design as it s much easier repairing them. You can remove and replace a broken part instead of paying for an entire new chair. Check the warranty period and it s coverage as it should at least cover labour and part costs. It s better if they offer at least a month s unconditional cash back guarantee as it indicates the company believes in their product and its durability. It s better if the company has a chat service or toll-free number you can use to resolve any problems you have. Also check its return policy, especially if you are buying your massager online. There are some companies which do not offer a no-return policy which is risky for you as you will be stuck with the massager if you are not happy with it. Looking at all this you will definitely feel that a chair or handheld neck and back massager or even a massage pad is a good investment to make as it provides relief from aching back muscles. It helps make you feel good as you feel relaxed using the massager. However there are so many types and models of back massagers available like homedics back massager and shark tank back massager that you may find it difficult choosing the best handheld back massager for your individual needs. This is why a few best massager for back reviews have been compiled so that you can take a look and choose and decide on the best product to use for your comfort.